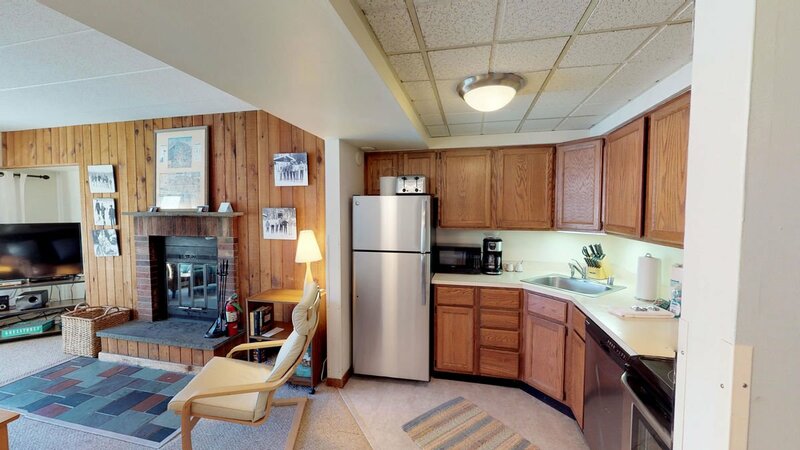 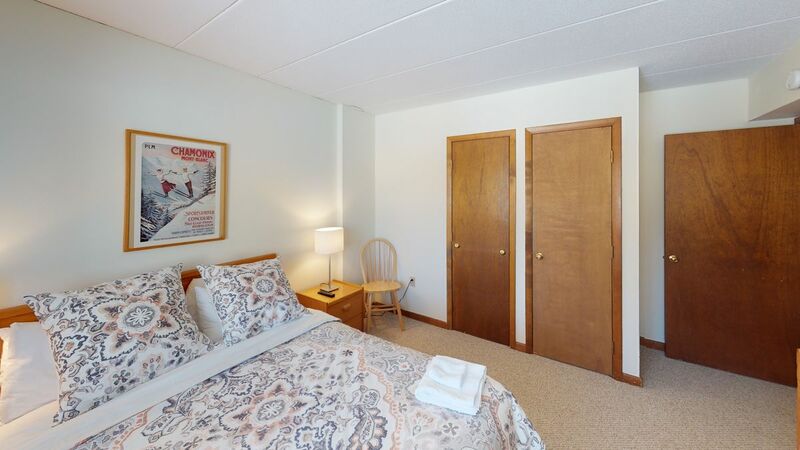 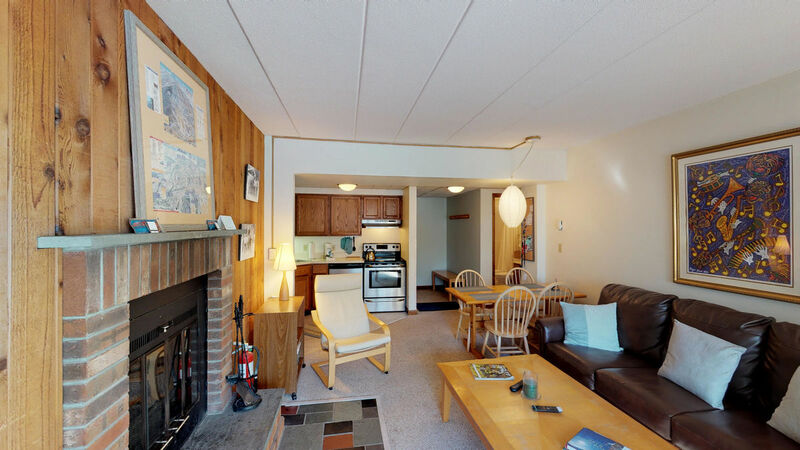 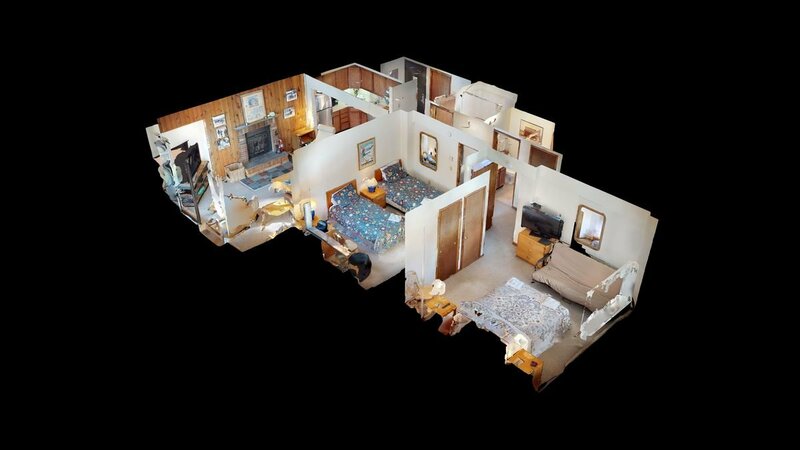 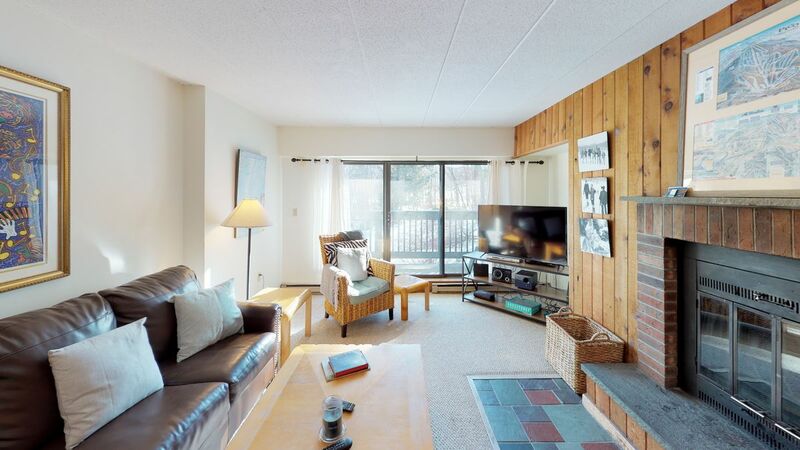 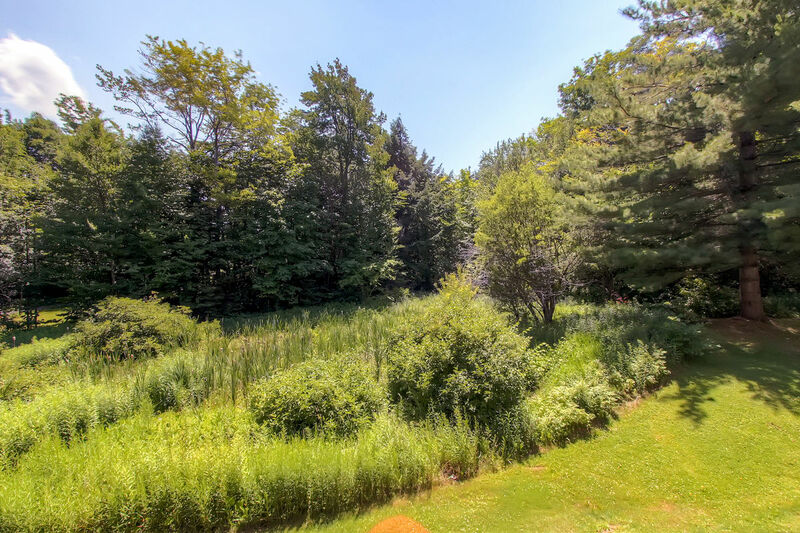 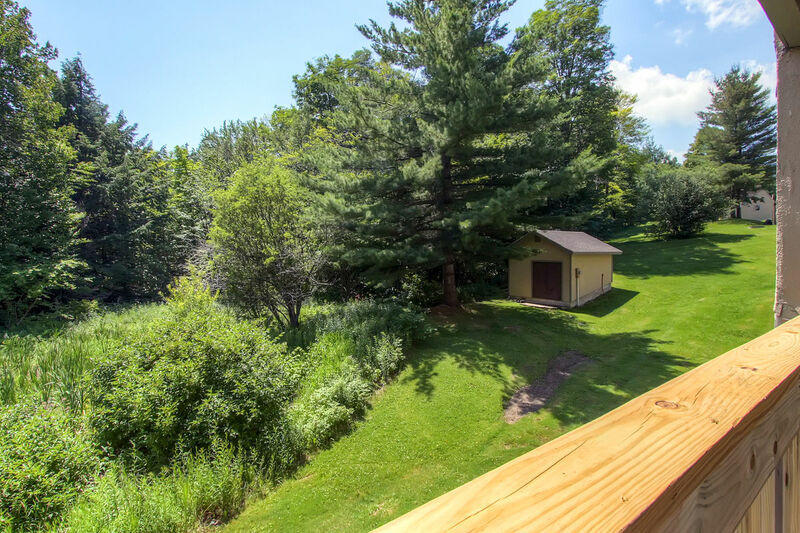 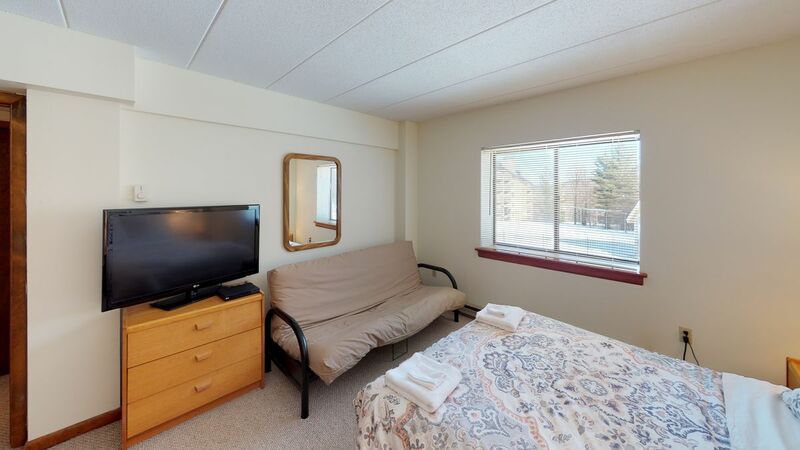 A quiet and cozy corner unit condo nestled at the foot of Killington Peak overlooking the golf course’s first tee, this property features 2 bedrooms and a plethora of family friendly amenities guaranteed to please during your time in Killington. 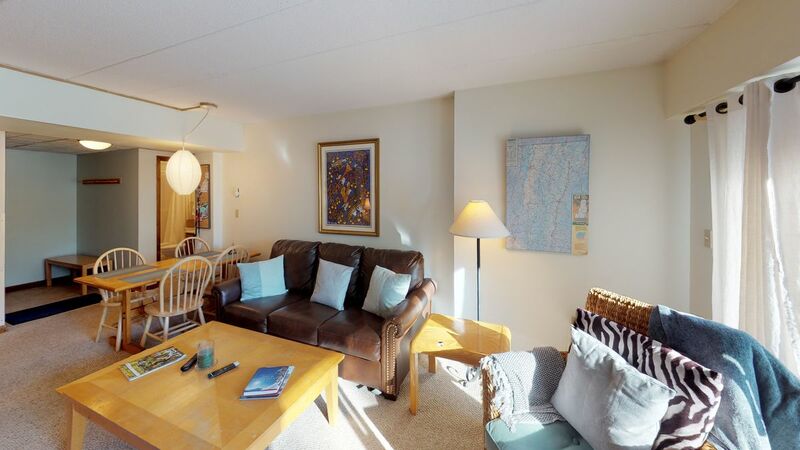 Enjoy panoramic views from this lovely condo in every season, as well as a refreshing interior of cool yet homey colors, new high-quality furnishings and carpeting, a full-sized kitchen with upgraded stainless steel appliances, a flat screen TV for downtime entertainment, and more within this property. 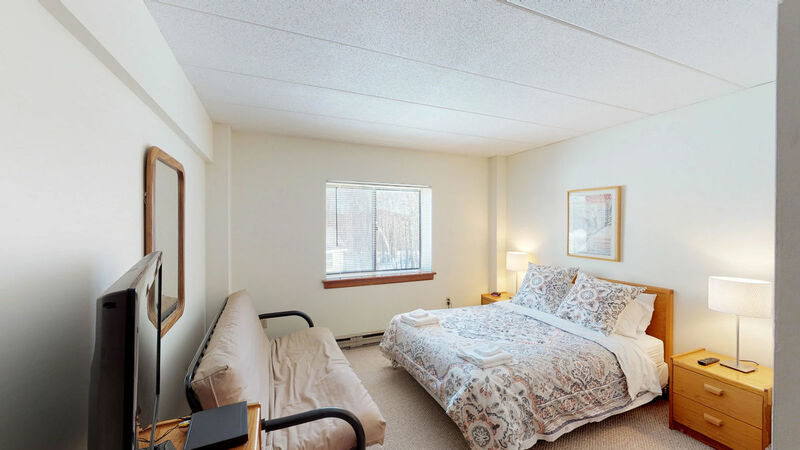 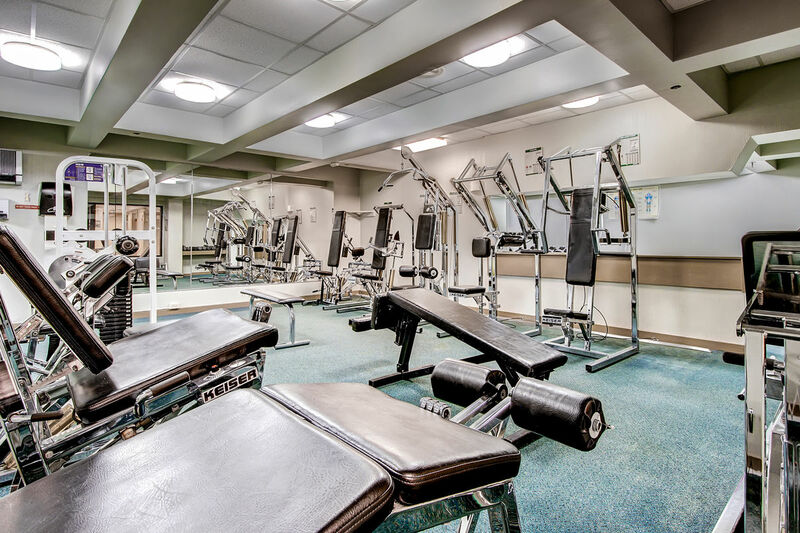 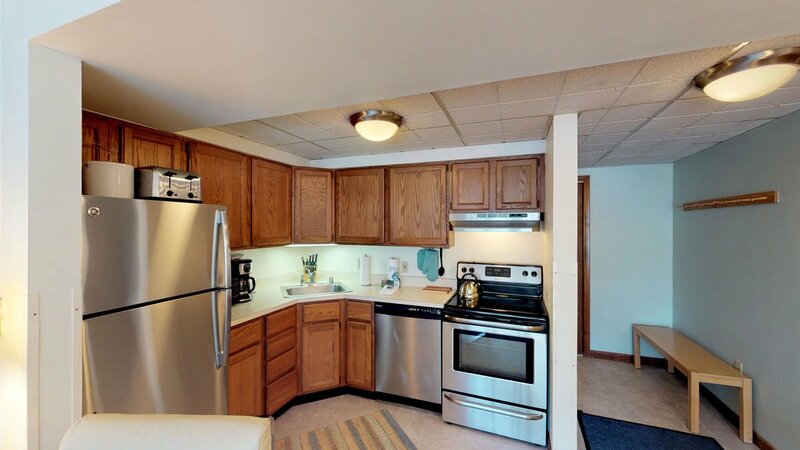 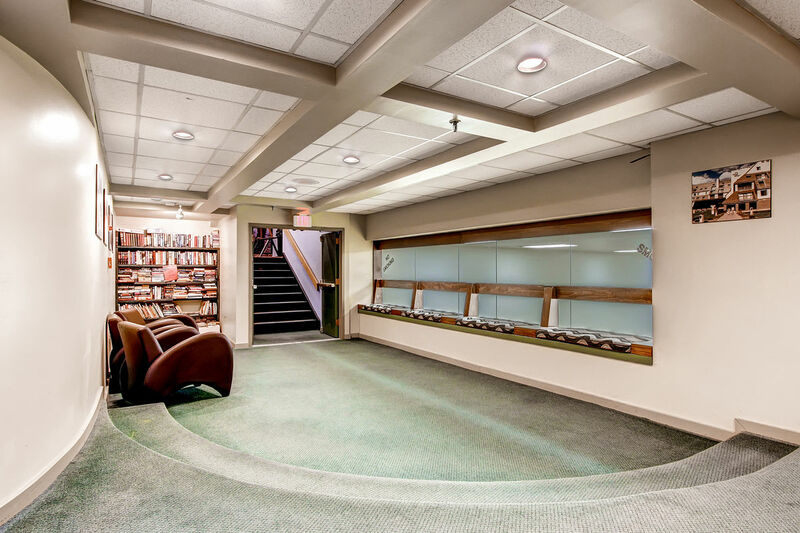 In addition to the individual features of this condo, there are also a number of community amenities that you and your guests can indulge in as well. 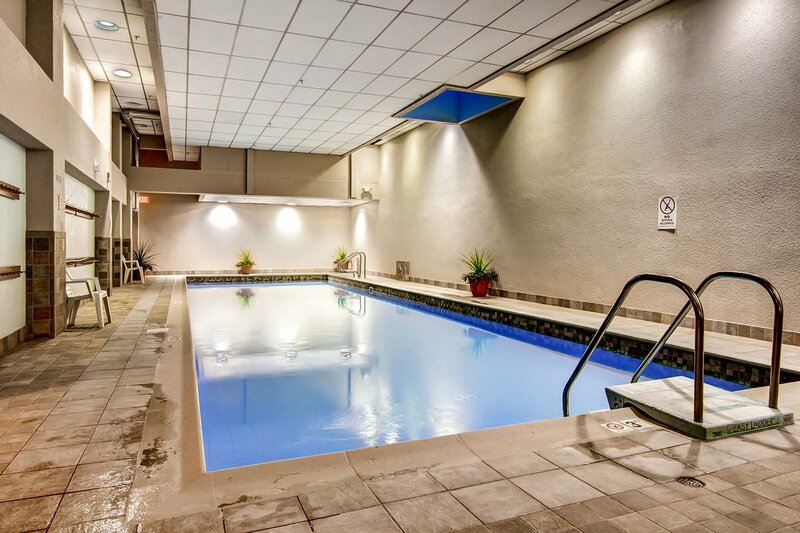 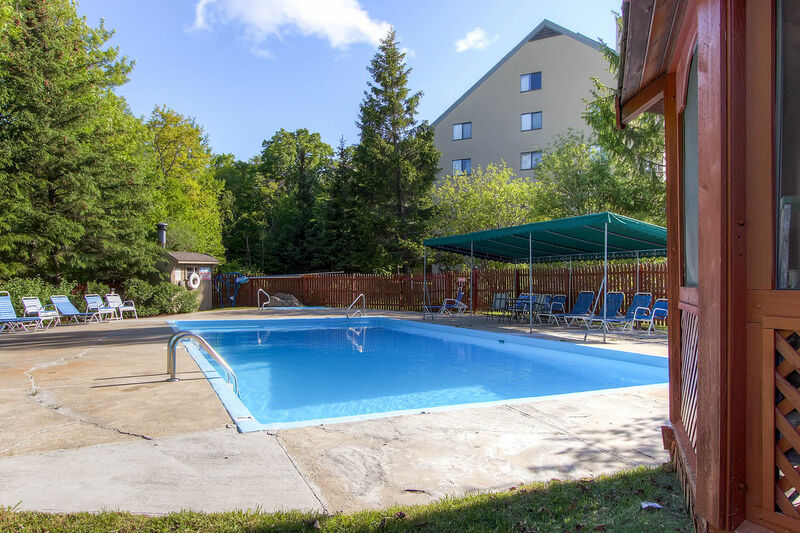 Onsite, there is a heated outdoor pool that is open during the summer season, as well as ski season amenities such as Black Dog Sports Ski Shop for rentals and equipment, an arcade, a restaurant and bar. 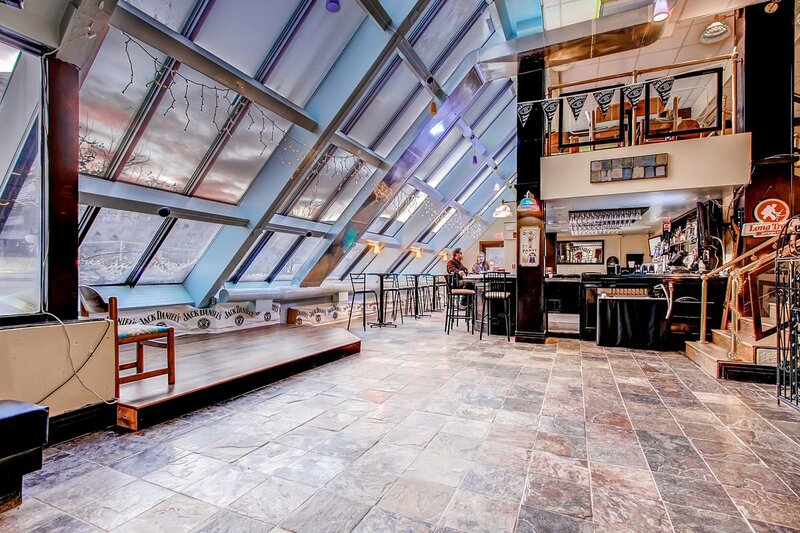 The restaurant and bar are open beginning the week of Christmas through the end of March, with varying dates and operational hours. 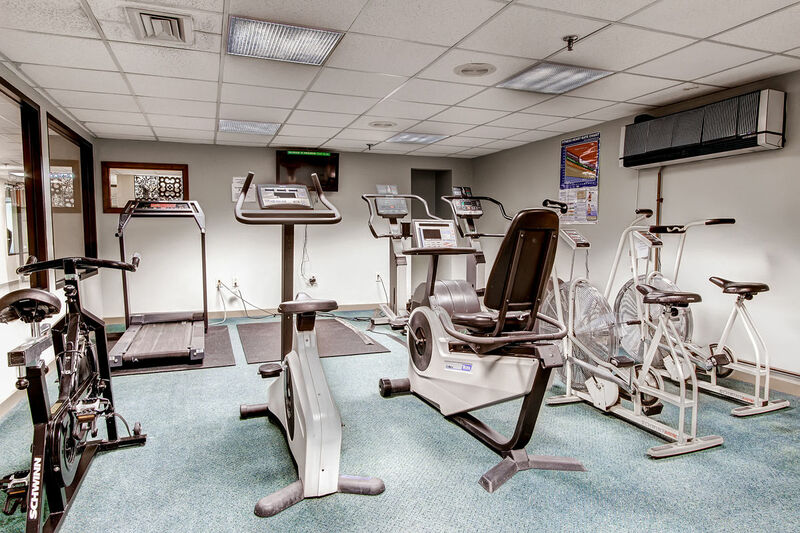 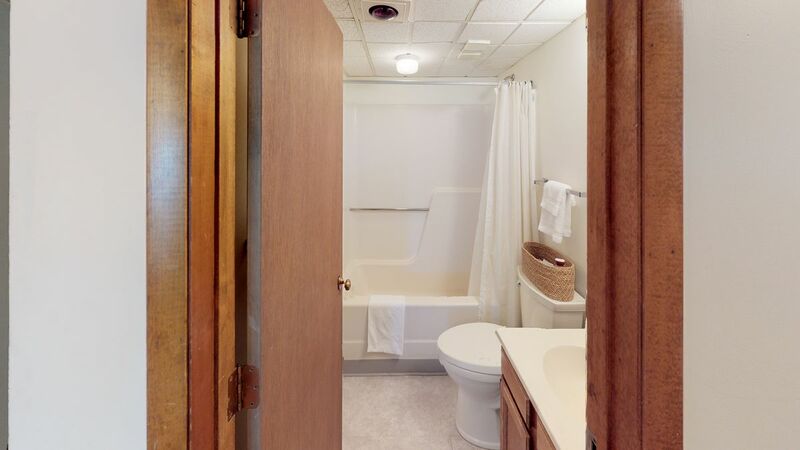 Booking this condo also gives you a complimentary membership to the resort spa, with ski season amenities such as hot tubs, an enormous heated indoor pool, a steam room, a sauna, a racquetball court, a full gym with cardio machines and a weight room, a locker room with showers, and towel services. 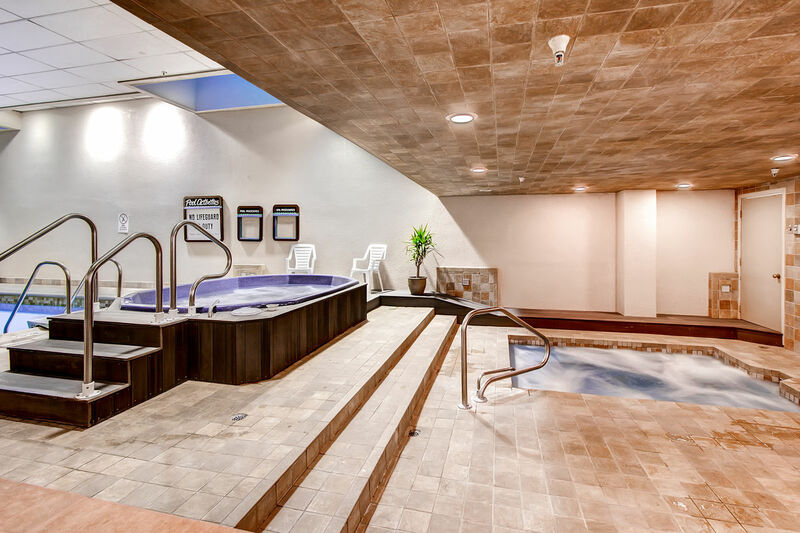 The hot tub and indoor pool are open beginning Thanksgiving weekend through Easter weekend, with dates and hours of operation subject to change. 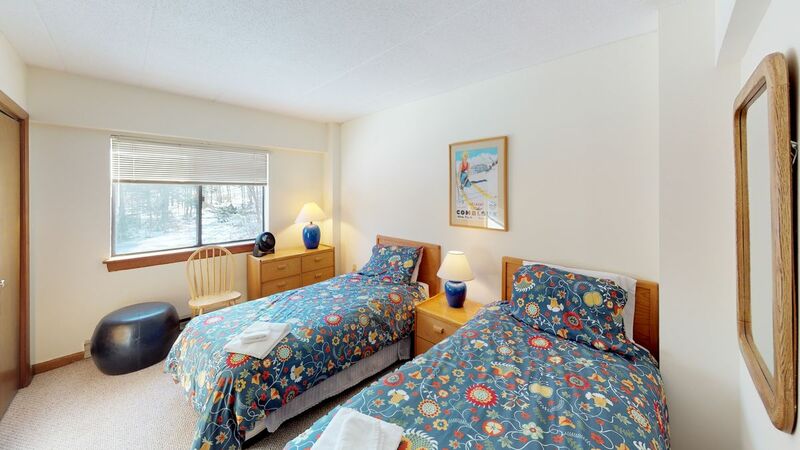 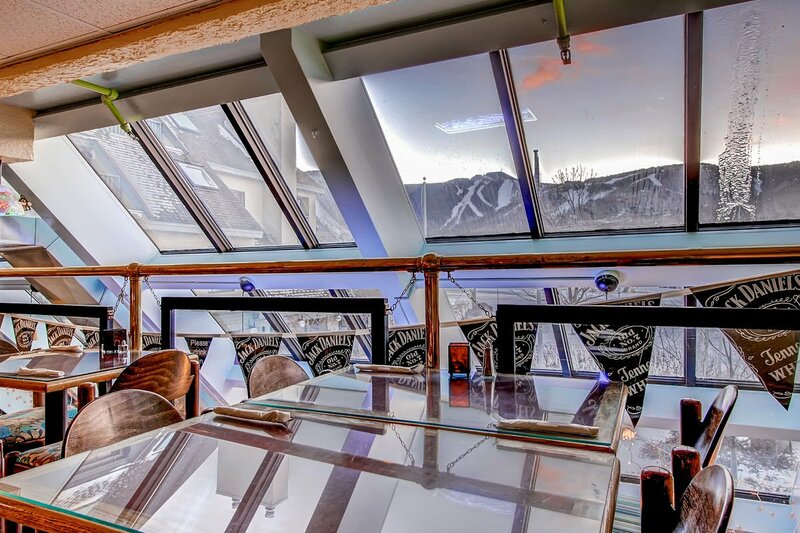 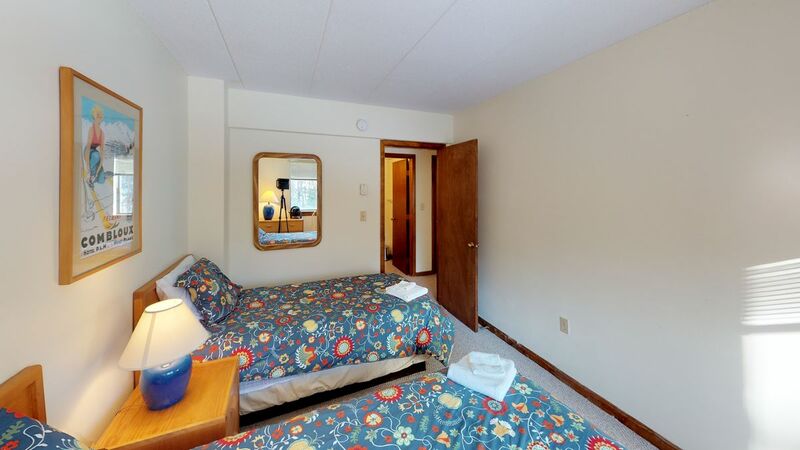 This property is located close to Killington Ski Area, providing guests with access to the variety of outdoor activities that guests can enjoy on Killington Peak, such as skiing, snowboarding, snow- and river tubing, mountain biking, ice skating, snowshoeing, kayaking, horseback riding, hiking, and more. 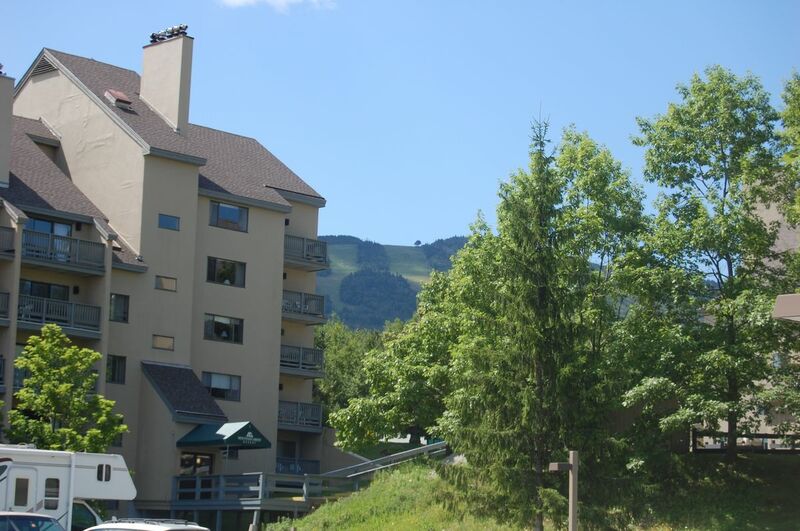 Additionally, you’ll also find Killington Golf Course right next door, as well as Killington Adventure Park nearby. 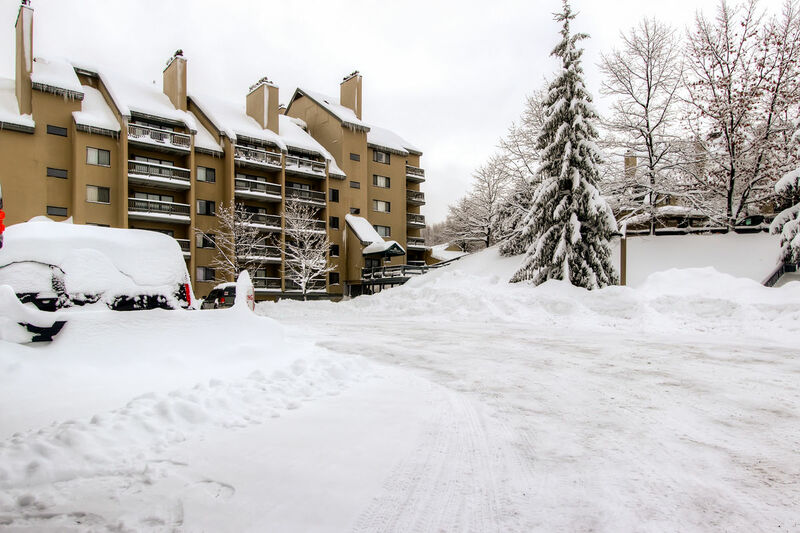 You and your guests will find that the free shuttle to the lifts of Killington Ski Area makes for easy and convenient transportation, with the shuttle stopping by the resort every 15 to 30 minutes depending on the day of the week. 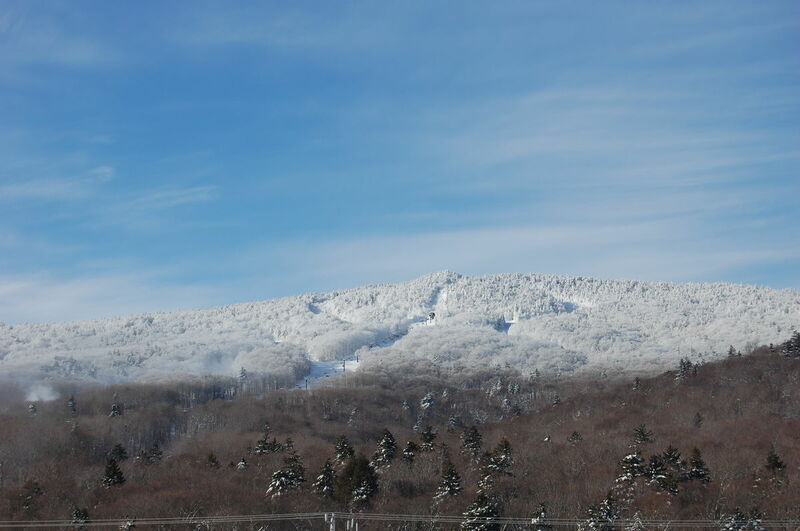 The shuttle also operates during the winter season, providing transportation into town for entertainment and after-hours dining. 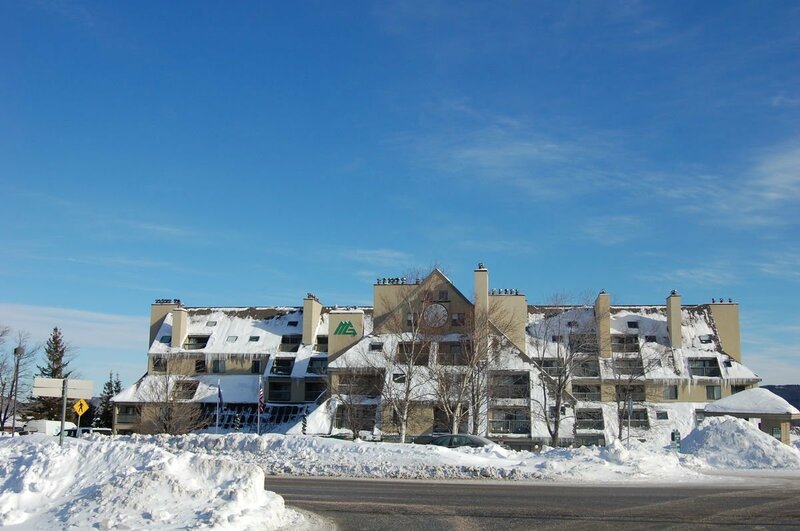 An important note: this condo, like all condos in Mountain Green Resort, does not allow pets. 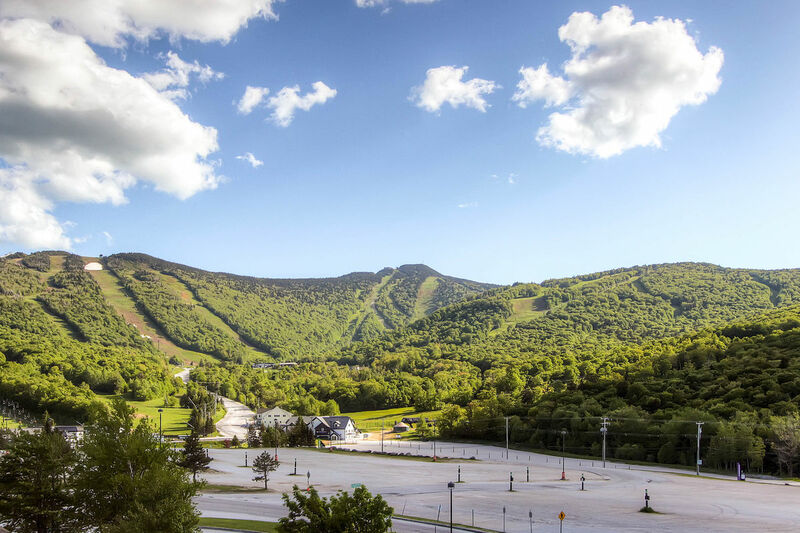 You can also download our Killington vacation guide app to help you plan your stay in Killington.